introduction of gender-neutral language throughout. Thank you to outgoing board members Dave Dyal and Alan Skavroneck for their hard work on the bylaws! 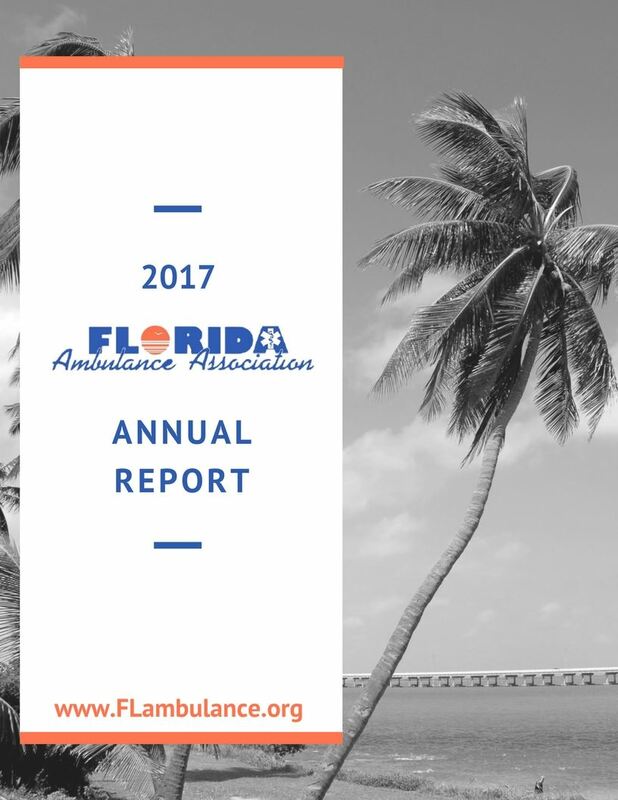 The Florida Ambulance Association is hard at work on your behalf! Check out the 2017 Annual Report to learn all about the legislative, regulatory, and membership initiatives going on in YOUR Association. ©2019 Florida Ambulance Association | The Florida Ambulance Association is a registered Florida non-profit.